*Note: Specification may vary according to client’s requirement. 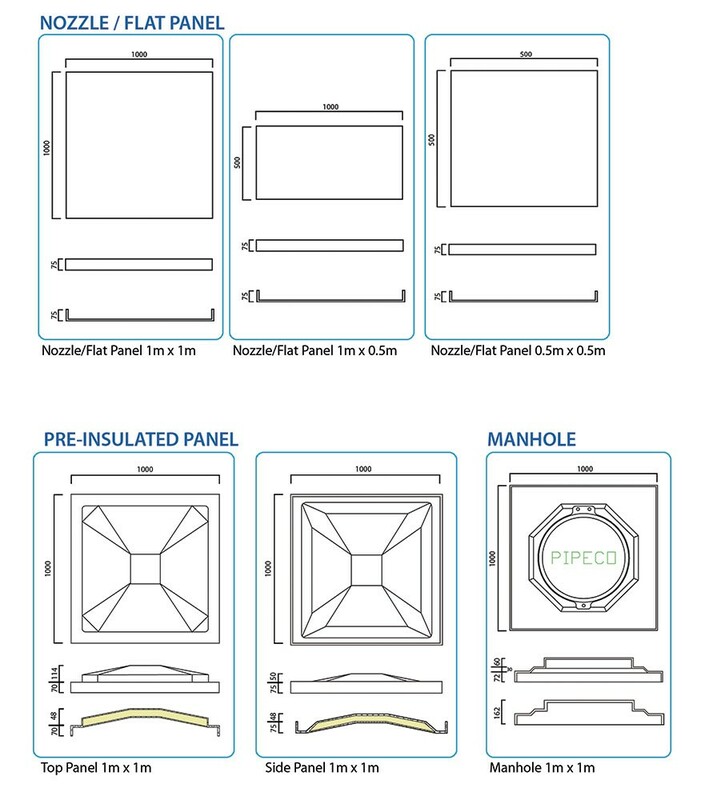 By encapsulating a 50mm layer of rigid polyurethane foam, PIPECO pre-insulated panel could maintain the desired water temperature stored inside the tank under extreme temperature condition. 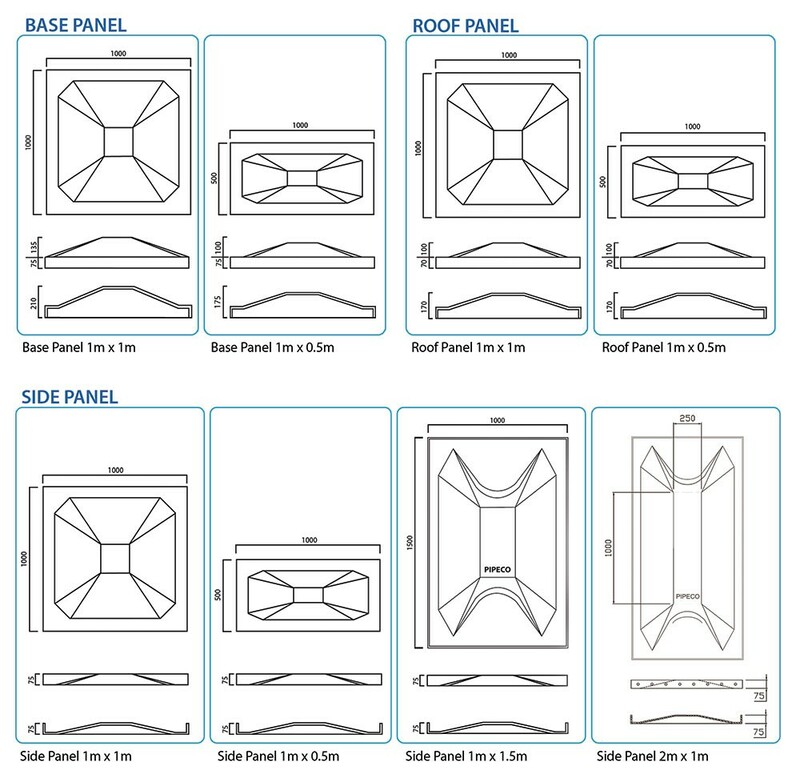 PIPECO pre-insulated panel could be selected for water storage where there is a need to stabilize the temperature against extreme heat or freezing conditions so to prevent dew formation. 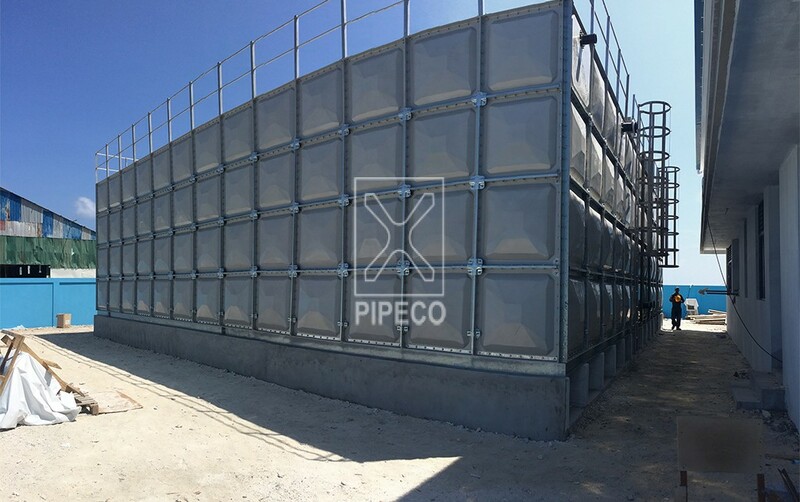 PIPECO GRP sectional water tank is constructed with bottom, side and top panels, completes with external and internal structural reinforcement and necessary tank accessories to facilitate water storage.